Reading a homeowners insurance policy for the first time can be intimidating. With all the jargon, exclusions, and conditions you’ll encounter, you may start thinking that Mom was right–you should have gone to law school after all. Nevertheless, all homeowners policies share certain common elements and follow a recognizable design. Once you understand the roadmap, you’ll be able to make sense of the provisions and locate key information when you need it. A homeowners insurance policy protects you from certain home-related property and liability risks. 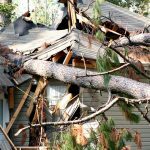 It covers your home, other structures on your property, and your personal possessions (e.g., furniture, jewelry, clothing, stereo equipment) if damaged, destroyed, or stolen. If other people suffer bodily injury or property damage through your negligence, your homeowners policy may also cover their liability claims, medical expenses, and other damages. Your homeowners policy consists mainly of preprinted pages–it’s pretty much a standard form. There are six different types of policy forms: HO-1, HO-2, HO-3, HO-4, HO-6, and HO-8. 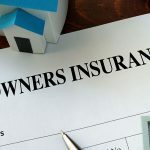 These forms provide identical liability coverage, but differ regarding the extent of property coverage and the type of home involved (i.e., house, apartment, condominium, or cooperative). Check your policy: The HO designation should appear on every page of your policy, usually near the bottom right corner. As you might expect, the definitions part of your policy defines terms and explains important concepts contained in the policy. Take the time to read these over; some terms will probably turn out to be more broad (or perhaps more restrictive) than you would have guessed. Pay especially close attention to the definition of insured and insured location. Section I of your policy describes what is and isn’t covered by the property provisions of your homeowners policy. It explains the types of property coverages, lists the specific perils that you’re insured against (such as damage caused by fire, theft, and hail), describes the exclusions from coverage, and details any conditions that you must meet for coverage to apply. If an instance of damage, injury, theft, or expense falls within one of these categories, you’ll be covered by your policy as long as you’ve met the conditions of your policy and no exclusions apply. Qualifying for coverage under the policy means that your insurance company will reimburse you for your financial loss, up to your coverage limit. You can increase your coverage limits by paying higher premiums. You should be aware that homeowners insurance does not cover certain perils (e.g., flood and earthquake damage). So, you may need to purchase an endorsement or a separate insurance policy to obtain broadened coverage. Like Section I, Section II of your policy describes types of coverages, exclusions from coverage, and conditions that must be satisfied. Here, the focus is on personal liability and medical payments to others. 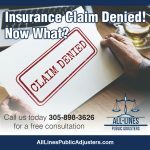 You’re covered for certain bodily injuries and property damages suffered by others in connection with your property. For example, you’ll probably be covered if your guest is injured when she slips and falls on your walkway, a neighbor gets bitten by your dog, or your barbecue fire rages out of control and starts a fire next door. Most homeowners policies provide a standard amount of liability coverage (usually $100,000) per occurrence. Along with the payment of damages, your insurance company may defend you (at its expense) if you’re sued for property damage or bodily injury. In addition, your insurance company may pay the necessary medical expenses (for three years) of anyone injured on or through your property. Injuries caused by you, your pet, or another insured may also be covered. However, make sure that you understand the exclusions from coverage. For instance, you probably won’t be covered for intentional injury or damage, nor for a claim arising out of your business or profession. How much will your insurance company pay if there’s a loss? Replacement cost: This is the amount needed to replace or rebuild your property or repair damages using similar materials to what you had before. There’s usually a maximum dollar amount. (By paying a higher premium, you may be able to obtain guaranteed replacement cost coverage, which does not specify a maximum dollar amount.) Actual cash value: This is the amount needed to replace or rebuild your property, less depreciation. Typically, personal property will be reimbursed at actual cash value. The calculation method depends on the type of property (home or personal property) and the type of dwelling. Keep in mind that you’ll need to satisfy a deductible (i.e., pay a certain amount out of pocket) before your insurance company will reimburse you for a loss. Read your policy–don’t just put it away in a file cabinet until it’s needed. You should understand your rights and responsibilities before a loss occurs. If any part of your policy is unclear, ask your insurance agent about it as soon as possible.